Doug Savage is a very busy man. I first met Doug through our first conversation with him on Comics Coast to Coast Episode 140 in 2012. It’s always a pleasure to pull up to the mic and talk shop. This past November, Doug and his wife Janet were here in Halifax and we had a chance to talk over beer instead of Skype. It’s always refreshing to meet other down to earth, kind, creative people. Doug’s visit to Halifax prompted a second interview on Comics Coast to Coast. 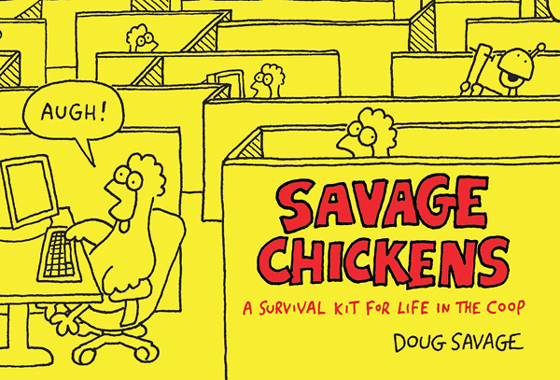 We needed an update on his work on Savage Chickens and Doug had some great insight into licensing his comic.